Kudos to Sarasota Bay Watch’s student board members, Ellie Martin (Cardinal Mooney High School), Eliza Anderson (Riverview High School) and Finn Johnson (Pine View School). Our student leaders bring valuable insights to Sarasota Bay Watch, are brimming over with energy, and share with volunteers their infectious enthusiasm. 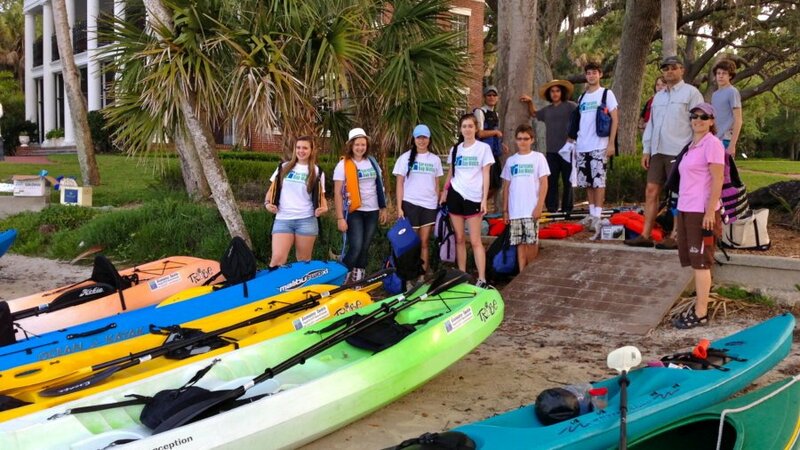 Ellie, Eliza and Finn are organizing a kayak trip through the South Lido Beach Park mangrove tunnels with Big Brothers/Big Sisters (BB/BS), with generous support from the Sarasota Yacht Club and Mote Marine Laboratory scientist Kim Hull. In addition to being a marine biologist, Kim owns and operates Flow Paddle Tours, and will be providing kayaks along with her expertise. Sarasota Bay Watch’s great strength is our connections with people and organizations in the community, and our young board members are learning first hand the power of partnerships. Finn has taken our BB/BS partnership to the next level – organizing a second kayak trip! This new event will be hosted by the Field Club. We will be launching from their docks and paddling across Roberts Bay to the Siesta Key Bird Rookery and Big Edwards Island. This trip will provide a unique on-the-water experience and an up-close look at nature for the “littles” and their “bigs” from BB/BS. Our thanks go out to Ellie, Eliza and Finn!!! With winter behind us, along with March winds, SBW shifts into high gear. We completed a clam release trial run in April in preparation for a series of larger clam releases (175,000 in total) planned for this summer. Once again we participated in Earth Day celebrations at Oscar Scherer State Park with live marine animals for people to see and touch. April is also the month for island cleanups of Jim Neville Marine Preserve, near Midnight Pass, with Pine View School students as well as Sister Keys with volunteers from Longboat Key and the broader community. Finally, Sarasota Bay Watch is a proud sponsor of Sarasota’s Environmental Summit (April 25th – 27th), a broad-ranging and thought-provoking interactive exploration into timely issues for our ongoing transformation into a more sustainable community.